More than 150 abstracts and events at the American Association for Cancer Research’s 2018 annual meeting feature MSK scientists, with more than 80 presenters or authors. Memorial Sloan Kettering researchers are featured in more than 150 abstracts and events at this year’s American Association for Cancer Research annual meeting. Their scientific contributions are advancing understanding of all types of cancer. 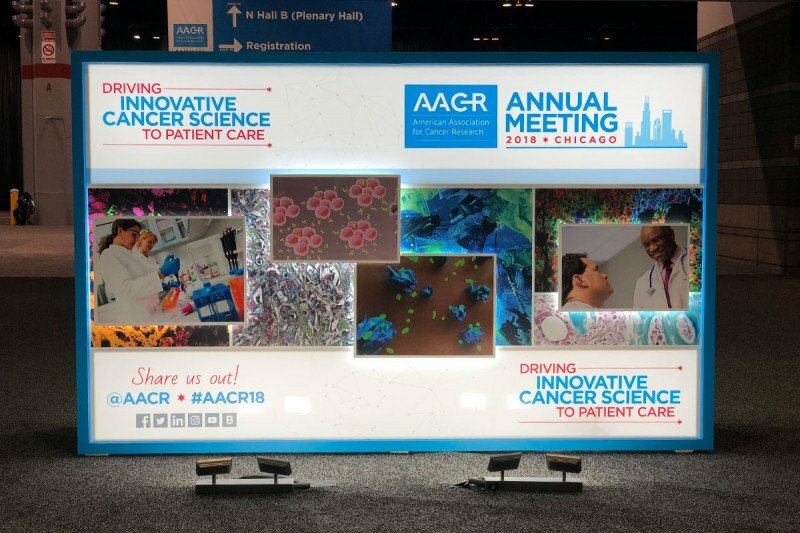 Memorial Sloan Kettering scientists are presenting exciting cancer research at the 2018 American Association for Cancer Research (AACR) annual meeting. Here is a sampling of some of the compelling studies that are shedding light on the genesis and progression of cancer and suggesting new avenues of treatment. A major milestone in cancer genetics — and a topic of much discussion at the meeting — was the publication of the Pan-Cancer Atlas. Based on the analysis of 10,000 tumor samples, the atlas lays out a massive body of data. It describes the molecular changes that occur in 33 cancer types. This genetic blueprint was presented in 27 papers published in several major scientific journals in the days leading up to the AACR meeting. 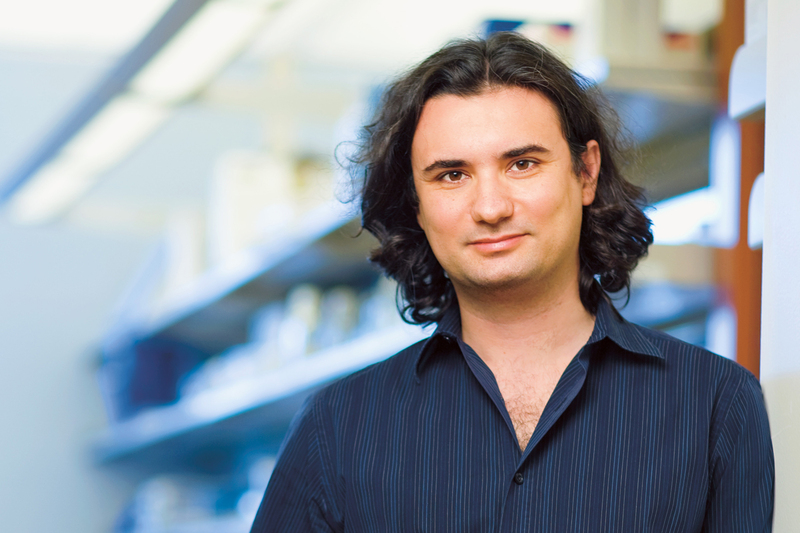 MSK cancer biologist Nikolaus Schultz was a co-corresponding author of one of the most prominent papers, published in Cell. In the study, a large research team analyzed genetic data to shed light on ten signaling pathways linked to cancer. (A signaling pathway is a group of molecules in a cell that work together to control one or more cell functions, such as cell division or cell death.) They looked at genetic changes in these signaling pathways across the 33 cancer types. Across the different cancers, they found that 89% of tumors had at least one driver alteration, a genetic change that promotes cancer and could be a good target for drugs. In addition, 57% had at least one alteration potentially targetable by currently available drugs. They also found that 30% of tumors had multiple targetable alterations, suggesting that many cancers could respond well to combination therapies. It's the equivalent of someone in the old days wanting to create an atlas of the world. The Pan-Cancer Atlas marks the culmination of more than a decade of work from The Cancer Genome Atlas (TCGA), a national project funded jointly by the National Cancer Institute and the National Human Genome Research Institute. The TCGA collects, processes, and characterizes tumor samples using state-of-the-art genomic and molecular techniques. The TCGA has published numerous papers during the last ten years, but each has typically focused on a specific cancer. The Pan-Cancer Atlas is far more comprehensive. The genome-editing tool known as CRISPR has had a major impact on biology in recent years. The technology makes it possible to engineer precise changes to DNA in very specific parts of a genome. Researchers can easily insert a new gene, edit a gene’s sequence, or even remove a section of DNA altogether. Sloan Kettering Institute cancer biologist Andrea Ventura chaired a session in which researchers reported on the variety of ways they are using CRISPR to create mouse models for different diseases. In his own presentation, Dr. Ventura described how his lab is using CRISPR to create models of rare forms of human brain tumors in mice. The work is being done in collaboration with the labs of MSK cancer biologists Robert Benezra and Maurizio Scaltriti. MSK scientists have created a mouse model that replicates a subtype of non-small cell lung cancer caused by a chromosomal rearrangement. Some cancers are caused by chromosomal rearrangements, complex genetic mutations in which stretches of DNA are reshuffled. This process was hard to reconstruct in lab mice. But several years ago Dr. Ventura’s lab figured out how to use CRISPR to model a type of lung cancer caused by such a rearrangement. The technique involves making cuts in the genome at two different places simultaneously. When the cell tries to repair the DNA, it occasionally makes a mistake and shuffles the pieces of chromosome. The researchers used CRISPR to trigger chromosomal rearrangements that cause rare forms of brain cancer. The approach has made it possible to rapidly generate mouse models of these highly lethal cancers. This is done both to understand the disease process, including determining which rearrangements are clinically relevant, and to test possible therapies. For example, they have already created a mouse model for a rare form of glioblastoma and begun testing a drug to see if it hits its target. 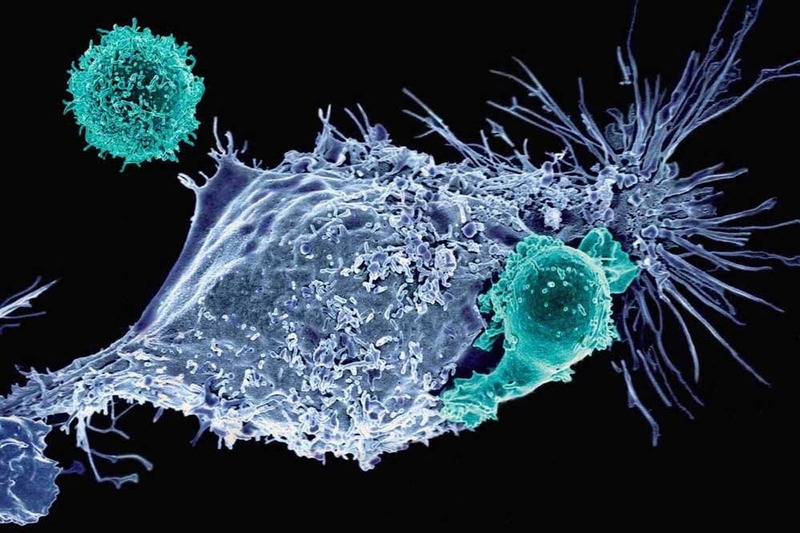 Among the most widely hailed scientific advances of the past year was the FDA’s approval of two chimeric antigen receptor (CAR) T cell therapies for cancer. This novel immunotherapy approach uses genetically modified versions of a patient’s own immune cells to fight cancer. For people with certain types of aggressive blood cancer, it has been a lifesaving treatment option. A drawback of the approach is that it is highly personalized. Each new CAR T cell product must be made from a patient’s unique cells — the ultimate in bespoke cancer treatments. Research presented at the AACR meeting suggests that a solution to this problem could soon be at hand, in the form of mass-produced, off-the-shelf CAR T cells. Bob Valamehr, vice president of cancer immunotherapy at Fate Therapeutics, is the lead author on a pre-clinical study of one such off-the-shelf CAR T product, designed to target a marker on certain blood cancers called CD19. The way they made this CAR product differs markedly from current approaches. Explore how MSK scientists and clinicians are using an immunotherapy called chimeric antigen receptor (CAR) T cell therapy to beat cancer. To make the new product, the team used a genetic technology to insert the CAR gene into a specific part of the healthy donor cell’s genome. Placing the new gene in this way interrupts the cell’s ability to make a T cell receptor (TCR), the part of an immune cell that recognizes one person’s immune system as different from another’s. Knocking out the TCR effectively converts a highly idiosyncratic T cell into a universal one — safe, in principle, for use in anyone. The approach makes use of insights gained from Michel Sadelain’s lab at MSK. In a paper published last year in Nature, Dr. Sadelain’s team showed that it was possible to make TCR-less CAR T cells using the genome-editing tool CRISPR. Dr. Sadelain and his team were collaborators on the new study. An approved off-the-shelf CAR T cell product would be cheaper, safer, and more accessible to people in need. This study shows proof of concept for the idea, although it is too soon to say whether the approach will be safe and effective in people. For that, clinical trials are needed, Dr. Valamehr explains. Research from the laboratory of Tuomas Tammela at the Sloan Kettering Institute suggests there is a novel mechanism by which pancreatic cancers maintain the right conditions to survive and grow. Katherine Wu, a student in the laboratory, presented a study describing how two subgroups of cells within the tumor interact to allow the cancer cells to proliferate. Normal pancreatic cells die and are replaced at a slow rate. When pancreatic tissue is damaged, however, subpopulations of self-renewing stemlike cells are stimulated to multiply and repair the damage. This same proliferative force can trigger cancer if something goes awry. Pancreatic tumors contain a subset of these self-renewing cells, which the tumors also use to replenish themselves. There are existing drugs that could inhibit this population of cells that produce WNT. We are interested in testing them in mice to see if blocking the feeder cells increases survival of the animals or at least makes the tumor shrink. Dr. Tammela’s team studied this group of stemlike tumor cells and found that in order to divide or expand, they need a growth factor called WNT, which is secreted by neighboring cells in the tumor. But what gives rise to these WNT-secreting cells? The researchers believe that they derive from the stemlike cells in the tumor. In other words, the cancer uses its own stemlike cells to produce the WNT suppliers. Although the research is preliminary, it raises the possibility that targeting the WNT-secreting cells in some way — either destroying them or interfering with the WNT production — would starve the stemlike cells of the signals that help maintain their stemlike state. Scott Lowe, Chair of MSK’s Cancer Biology and Genetics Program, received the 2018 G. H. A. Clowes Memorial Award from the AACR and Eli Lilly and Company. The award recognizes a scientist with outstanding accomplishments in basic cancer research. Dr. Lowe is being honored for his visionary work on the mechanisms of tumor suppression, including the biology of the tumor suppressor gene p53. Tumor suppressor genes control cell growth — when they’re mutated, they enable the nonstop growth that causes cancer. Dr. Lowe delivered the award lecture “Cancer Drivers and Dependencies” at the meeting. Over the years, he has pioneered the use of genetically engineered mouse models of cancer to identify driver mutations in cancer and how these genes might be targeted with drugs. This research has already provided important insights into colon cancer, a rare form of liver cancer called FL-HCC, and synovial sarcoma. At the meeting, Dr. Lowe presented new research on tumor suppressor gene mutations in pancreatic cancer and how the findings could guide therapeutic strategies for the disease. Are there any clinical trials for AML using car t ? Dear Carolyn, MSK does not currently have any trials for AML using CAR T, but it is something that we are investigating. We do have a number of other trials for AML. If you would like to arrange a consultation to learn more, you can call 800-525-2225 or go to https://www.mskcc.org/experience/become-patient/appointment for more information on making an appointment. Thank you for your comment and best wishes to you.